Recent work of mine will be on display in the “Hand Pulled Prints:Current Practice in Printmaking” Exhibition at OnSite:Brooklyn in New York. 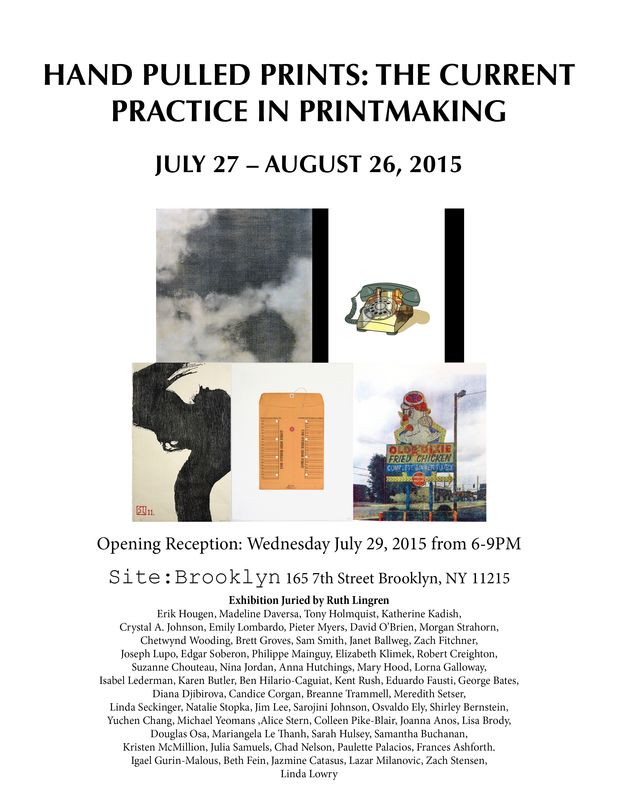 The Juror of this exhibition was Ruth Lingren, master printer and papermaker at Pace Editions, NYC. The show runs from July 27 to August 26, with a public reception on July 29 from 6-9PM.